Hey everyone, can you believe we only have one week of July left? Crazy how time flies by! 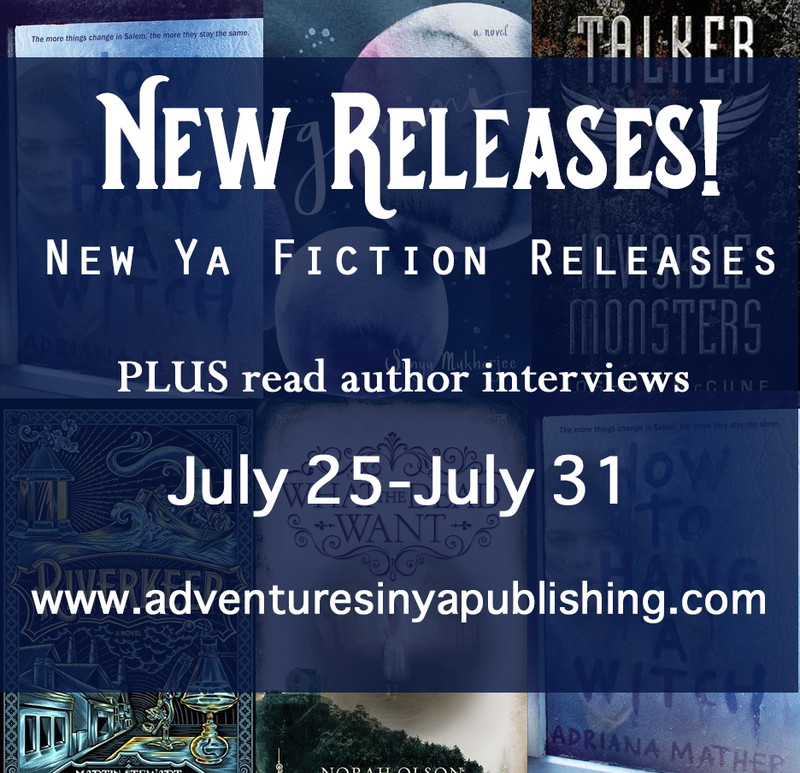 Don't forget to check out all the awesome new releases this week and check if you won last week's giveaway! 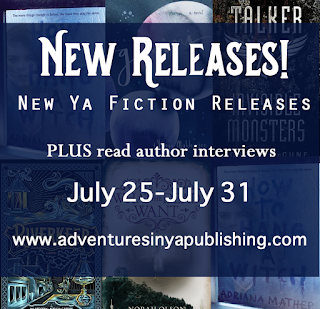 A World Without You by Beth Revis: Austine D.
Little Black Dresses, Little White Lies by Laura Stampler: Jennifer L.
In a powerful and daring debut novel, Sonya Mukherjee shares the story of sisters Clara and Hailey, conjoined twins who are learning what it means to be truly extraordinary. 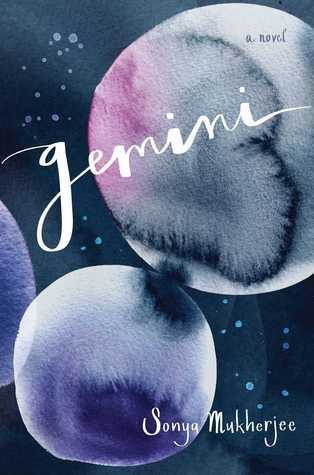 Author Question: What is your favorite thing about Gemini? My favorite thing about GEMINI is the way I saw aspects of myself coming out in each of my twin protagonists, despite their contrasts. Clara is shy, reserved, and insecure; some of her thoughts are sharp and sarcastic, but she usually doesn't say them out loud. Hailey is more rebellious and determined to live life on her own terms. Recently, I was telling a friend who'd read GEMINI a story about one of my more rebellious moments in high school, and she said, "Wait. Were you Hailey in high school?" And I reflexively said, "No, I was Clara!" But then I stopped, thought for a second, and said, "I guess I was 80 percent Clara and 20 percent Hailey." The truth is, I wasn't really either of them; they are both their own people. But it was fun finding those connections with each of them. For fans of Conversion and Mean Girls, comes a debut novel where the trials of high school start to feel like a modern day witch hunt for a teen with all the wrong connections to Salem’s past. Salem, Massachusetts, is the site of the infamous witch trials and the new home of Samantha Mather. Recently transplanted from New York City, Sam and her stepmother are not exactly welcomed with open arms. Sam is the descendant of Cotton Mather, one of the men responsible for those trials and almost immediately, she becomes the enemy of a group of girls who call themselves The Descendants. And guess who their ancestors were? If dealing with that weren't enough, Sam also comes face to face with a real live (well technically dead) ghost. A handsome, angry ghost who wants Sam to stop touching his stuff. 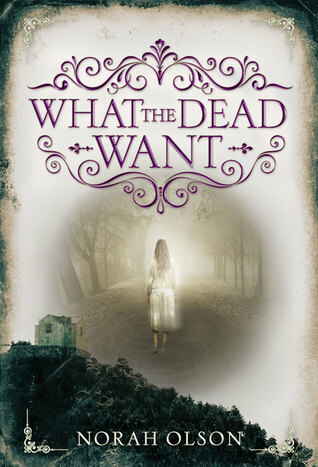 But soon Sam discovers she is at the center of a centuries old curse affecting anyone with ties to the trials. 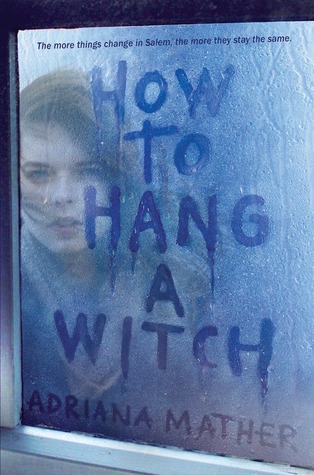 Sam must come to terms with the ghost and find a way to work with the Descendants to stop a deadly cycle that has been going on since the first accused witch was hanged. If any town should have learned its lesson, it's Salem. But history may be about to repeat itself. In this sequel to Talker 25, which Publishers Weekly said “packs a significant punch,” Joshua McCune once again keeps readers on the edge of their seats with a gritty and masterful reimagining of popular dragon fantasy set in a militant future. 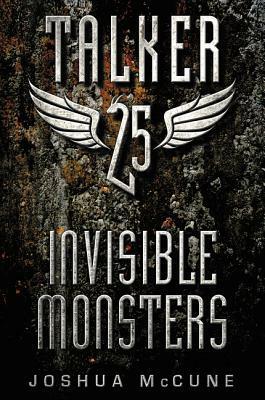 Set in a not-too-distant future where dragon wars have shaped society, the battle between the dragon resistance and government forces escalates in Joshua McCune’s thrilling and heart-pounding sequel to Talker 25. Finally free after spending three months locked in a secret government facility, where she was forced to torture and assassinate dragons for the popular television series Kissing Dragons, all Melissa Callahan wants is a quiet recovery. Hiding in an Alaskan cave with fellow escapee Allie (known as Talker 21), Melissa does her best to stay out of the dragon politics. However, when a group of rebels called the Diocletians discovers their hideout and captures Allie, Melissa soon realizes she must finally choose who she’s fighting for—the humans or the dragons. A stunning debut perfect for fans of Patrick Ness and Neil Gaiman! 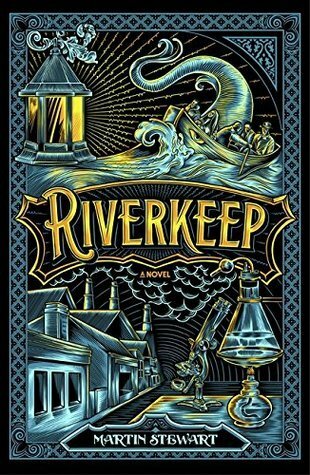 The Danék is a wild, treacherous river, and the Fobisher family has tended it for generations—clearing it of ice and weed, making sure boats can get through, and fishing corpses from its bleak depths. Wulliam’s father, the current Riverkeep, is proud of this work. Wull dreads it. And in one week, when he comes of age, he will have to take over. Then the unthinkable happens. While recovering a drowned man, Wull’s father is pulled under—and when he emerges, he is no longer himself. A dark spirit possesses him, devouring him from the inside. In an instant, Wull is Riverkeep. And he must care for his father, too. When he hears that a cure for his father lurks in the belly of a great sea-dwelling beast known as the mormorach, he embarks on an epic journey down the river that his family has so long protected—but never explored. Along the way, he faces death in any number of ways, meets people and creatures touched by magic and madness and alchemy, and finds courage he never knew he possessed. Martin Stewart's debut novel is an astonishing blend of the literary, the comedic, and the emotionally resonant. In a sentence, it's The Wizard of Oz as told by Patrick Ness. It marks the beginning of a remarkable career. 16-year-old Gretchen takes photographs to understand the world around her, a passion her mother Mona fostered and encouraged when she was still around. Since her mom disappeared years ago, Gretchen and her dad have lived on their own in New York City, haunted by Mona’s absence. thanks for the info on the new books! Looking forward to the upcoming book. I hope it will be incredible.